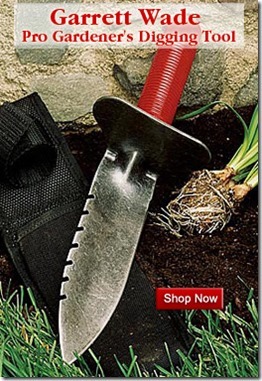 Gardening tool reviews from a professional landscaper. Hand pruners are a contentious topic among gardeners, because we’re all so madly in love with our chosen style. Though gardeners will vehemently defend the honor of their favorite pruner, there’s one brand you’ve probably never even heard of: the Bahco Ergo PX line of hand pruner. This little-known European brand, long trusted by professional landscapers, plant propagators, and orchardists, has been gaining steam through word of mouth. Though they aren’t pretty (with their industrial orange-and-black color scheme), they cut so smoothly that once you test them you’ll look for excuses to get out and prune. Because the Bahco Ergo PX was engineered for professional use, it has a number of features which prevent strain and soreness when pruning for long periods of time. The handle is curved to fit the contours of your hand, so pressure is evenly applied when making pruning cuts. The blade is angled steeply downward to provide leverage and keep the wrist in a neutral position. And the tilted pruning head lets you make close cuts without bending your wrist. These small design perks add up to create a sublimely comfortable pruning experience for homeowners as well as pros. Handle size and type. While the medium size fits most people, if you have small or large hands, you can get handles to suit. A rotating handle is also available for repetitive pruning tasks. Blade size. Choose a small blade if you’ve ever had carpal tunnel syndrome, as it will reduce wrist strain. The medium blade is good for cutting stems up to 3/4 inch thick and is still good for preventing injury, while the large blade is best for the occasional big job as it cuts branches that are a whopping 1 and 1/4 inches thick. Spring tension. The high-tension spring pops the pruners open quickly after each cut, while the low-tension spring requires less force to close. Left-handed. Lefties can go for the standard medium handle and medium head, or can opt for the rotating handle . Much as I adore these pruners, they do have one flaw. The clasp that holds the pruners closed is ineffective, so the pruners swing open at inopportune moments. To solve the problem, I carry my Bahcos in a holster which keeps them closed for me. Aside from that, these pruners are a joy to use in every way. 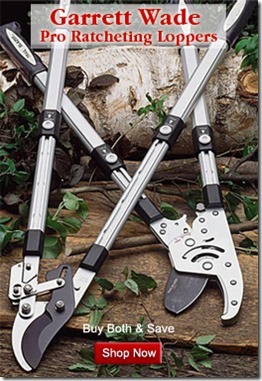 By designing a tool that cuts with such comfort and ease, Bahco has won loyal fans among landscape professionals and others who take their pruning seriously. Genevieve Schmidt owns a landscape design and fine garden maintenance firm in Humboldt County, CA. She is a Top Reviewer at Amazon.com and writes professionally for numerous publications, including her own gardening website, NorthCoastGardening.com. Contact her via email at Gen@NorthCoastGardening.com. 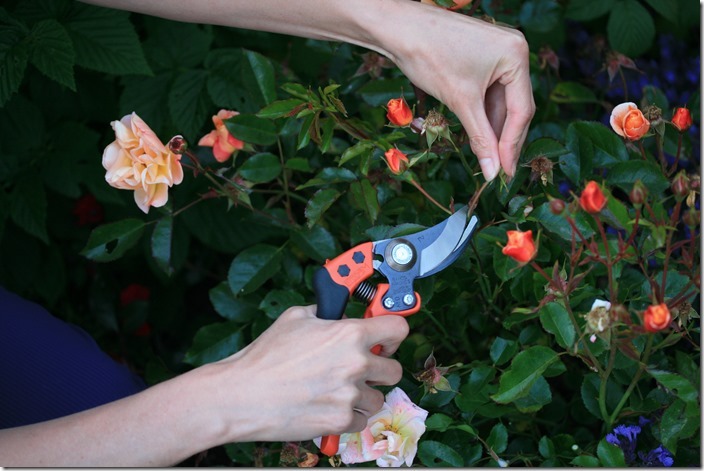 I was introduced to Bahco pruners by Syl Arena years ago: he & I both suffer from gardener’s elbow and carpal tunnel. I love mine & recommend them to all my clients. Nice too, that they are about half the price of Felcos. Isn’t it awesome when a product is both cheaper and better-made? How often does that happen?! I haven’t actually used these pruners, though we do sell them on our website. I’m very fond of my Faithfull Secateurs at the moment. I’ve got through a lot of secateurs over the years, so will try the Bahco ones, next time I treat myself to a new pair. Thanks for the info.